Weber, R. L., Wiebke-Strohm, B., Bredemeier, C., Margis-Pinheiro, M., de Brito, G. G., Rechenmacher, C., Bertagnolli, P. F., de Sa, M. E., Campos Mde, A., de Amorim, R. M., Beneventi, M. A., Margis, R., Grossi-de-Sa, M. F. and Bodanese-Zanettini, M. H. (2014). Expression of an osmotin-like protein from Solanum nigrum confers drought tolerance in transgenic soybean. 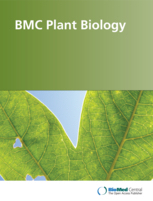 BMC Plant Biol 14: 343. Scalon, M. C., Rechenmacher, C., Siebel, A. M., Kayser, M. L., Rodrigues, M. T., Maluf, S. W., Rodrigues, M. A. and Silva, L. B. (2013). Genotoxic potential and physicochemical parameters of Sinos River, southern Brazil. ScientificWorldJournal 2013: 209737. Wiebke-Strohm, B., Pasquali, G., Margis-Pinheiro, M., Bencke, M., Bucker-Neto, L., Becker-Ritt, A. B., Martinelli, A. H., Rechenmacher, C., Polacco, J. C., Stolf, R., Marcelino, F. C., Abdelnoor, R. V., Homrich, M. S., Del Ponte, E. M., Carlini, C. R., De Carvalho, M. C. and Bodanese-Zanettini, M. H. (2012). Ubiquitous urease affects soybean susceptibility to fungi. Plant Mol Biol 79(1-2): 75-87. Blume, M. , Rechenmacher, C. and Schmitt, J. L. (2010). Pesquisas. Botânica 61: 219-227. Rechenmacher, C., Schmitt, J. L. and Droste, A. (2010). Spore germination and gametophyte development of Cyathea atrovirens (Langsd. & Fisch.) Domin (Cyatheaceae) under different pH conditions. Braz J Biol 70(4 Suppl): 1155-1160. Scalon, M. C., Rechenmacher, C., Siebel, A. M., Kayser, M. L., Rodrigues, M. T., Maluf, S. W., Rodrigues, M. A. and Silva, L. B. (2010). Evaluation of Sinos River water genotoxicity using the comet assay in fish. Braz J Biol 70(4 Suppl): 1217-1222. Rechenmacher, C., Siebel, A. M., Goldoni, A., Klauck, C. R., Sartori, T., Rodrigues, M. T., Rodrigues, M. A., Gehlen, G., Ardenghi, P. G. and Silva, L. B. (2010). A multibiomarker approach in rats to assess the impact of pollution on Sinos River, Southern Brazil. Braz J Biol 70(4 Suppl): 1223-1230. Rechenmacher, C., Schmitt, J. L. and Budke, J. C. (2007). Pesquisas. Botânica 58: 177-185.